Black Friday may still be more than a week out, but Sky isn't hanging around for the day itself to roll-out its killer satellite television deals. The UK broadcaster has unveiled a stellar new bundle ideal for those looking to make sure they have the pick of the crop when it comes to Christmas television and movies. Not only does the new Sky Q bundle include access to 300 satellite channels, including Sky Atlantic, Comedy Central, MTV, National Geographic, Discovery, VICE, and more. There's also Sky Cinema, which boasts more than a thousand on-demand titles, as well themed live movie channels, like Sky Cinema Christmas HD. Sky has also bundled its Ultimate On Demand add-on, which includes 500 on-demand box sets from Sky, with the likes of Game Of Thrones and Westworld, as well as access to the complete library on Netflix in full High Definition. The Black Friday deal also includes the flagship 2TB Sky Q box, which can record six shows simultaneously while you're watching a seventh live and store 1,000 hours of films and television. The bundle also access to Ultra HD quality live channels and on-demand content from Sky – as well as a 43-inch UHD television to watch it on. Yes, that's right. Sky is throwing in an LG branded television worth £399 to make sure you're getting the best possible Sky Q experience. Don't worry if you've already got a TV you're happy with in the lounge, the Black Friday deal includes multi-room support, so you can place the free television into a bedroom and enjoy Sky Cinema, Netflix shows, or live shows on Sky One, or Comedy Central in HD. Sky is charging £55 a month for this bumper satellite television package. The 18-month contract includes £9.95 delivery charge for the 43-inch TV and flagship Sky Q equipment, which will be applied upon dispatch. According to Sky, the Ultra HD TV is guaranteed to be delivered within 40 working days. There's also a one-off installation cost of £75 for the Sky Q 2TB box. 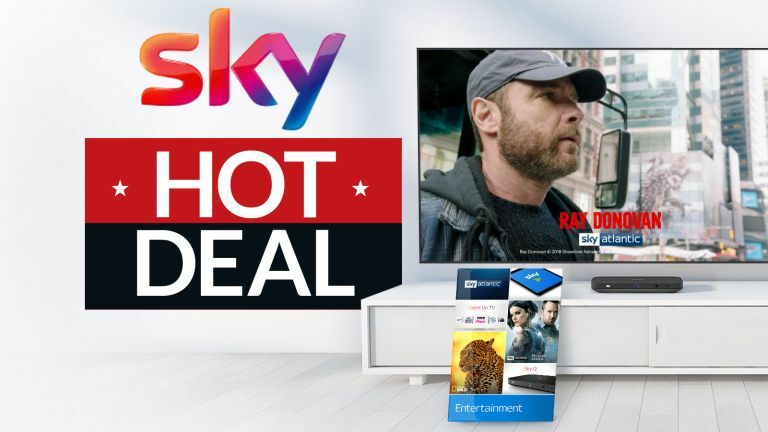 Without the Black Friday discount, you'd be looking at monthly costs of £20 for Sky Entertainment, £10 for the Ultimate on Demand Netflix and Box Set add-on, £12 for the Sky Q 2TB upgrade with a one-off fee of £75, £18 for Sky Cinema, and £5 to upgrade everything to HD quality. That's £65 a month – without a £399 Ultra HD LG television included.